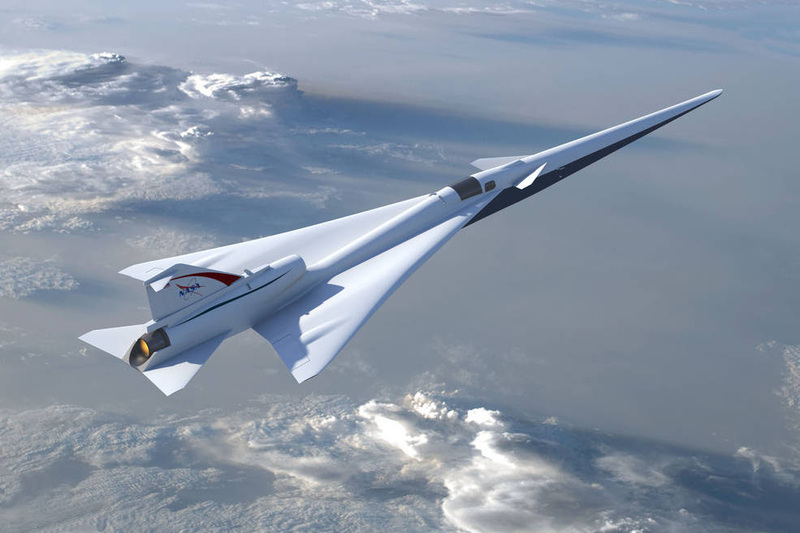 June 26, 2017 – NASA has achieved a significant milestone in its effort to make supersonic passenger jet travel over land a real possibility by completing the preliminary design review (PDR) of its Quiet Supersonic Transport or QueSST aircraft design. QueSST is the initial design stage of NASA’s planned Low Boom Flight Demonstration (LBFD) experimental airplane, otherwise known as an X-plane. Over the next few months, NASA will work with Lockheed on finalizing the QueSST preliminary design effort. This includes a static inlet performance test and a low-speed wind tunnel test at NASA’s Langley Research Center in Hampton, Virginia.